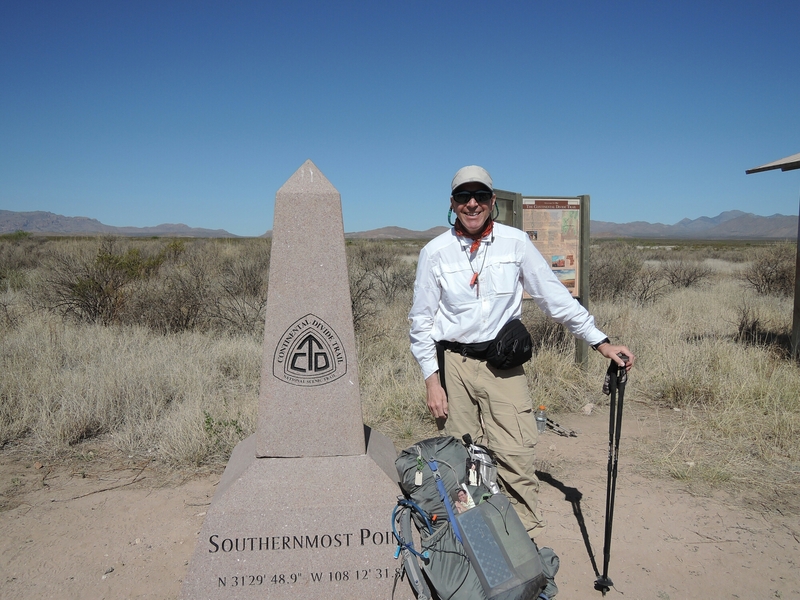 Start to Lordsburg, 84 miles. I felt nervous after kissing Cindy goodbye, and on the long bumpy ride to Crazy Cook, the southern terminus of the CDT. Arriving at 9:45 I was still anxious but excited start but held the emotion inside. The trail is easy to follow because there is little tall vegetation to block the view, and the CDTC has placed tall signs in many places. Of course, there is very little and maintaining hydration is always a challenge for me. The second day proved to be the toughest for me. We started hiking at 6:30 am when it was cool, but I was very fatigued by 5:30 pm. My hiking partners are Allgood, Big John, Freefall, and Mosley. A young German guy, Buttercup, has hiked with us so far. They helped me out with my hydration issues by kindly giving me some salt capsules and electrolyte powder to supplement what I have. Hikers benefit by having water available in tanks that are meant primarily for cattle. The CDTC has water caches, also, and those are dependable livesavers. 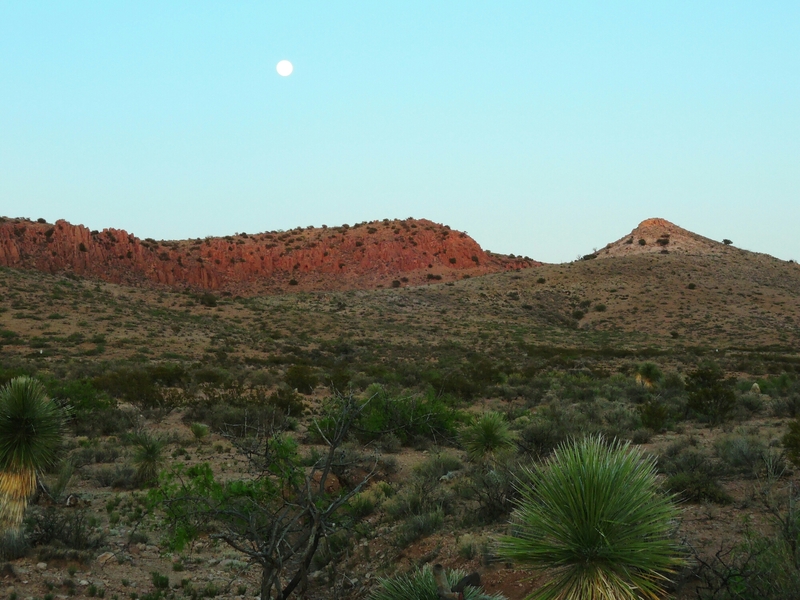 However, north of here there are no dependable caches and I will rely on mostly natural water or ranch tanks. 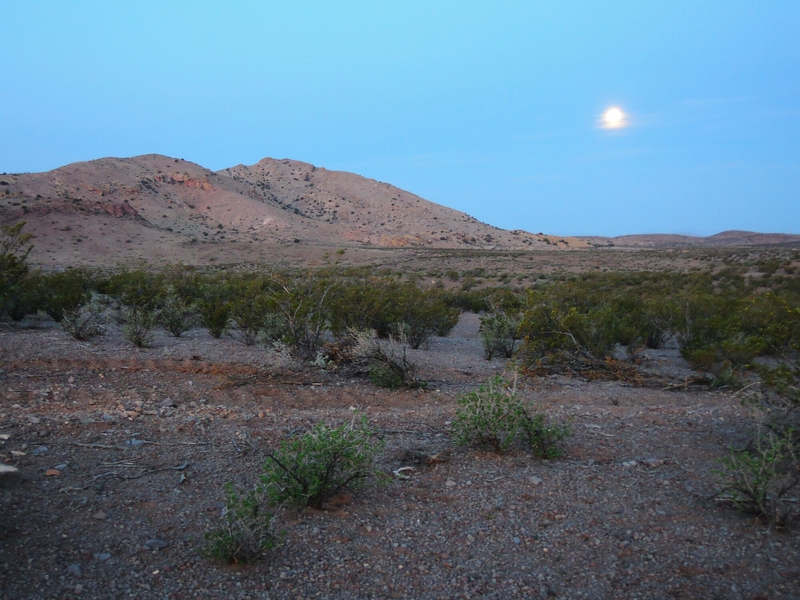 The views are expansive, although the hills and mountains are brown with short brush, and the full moon at night has illuminated the landscape in a breathtaking way. Each of the first four nights I fell asleep under the stars gazing at the moon in the pleasantly chilled air. Amazing that I have just one blister after hiking 85 miles in 85+ degree heat. This section to Lordsburg ended in tense but grand fashion. I was looking for a trail marker when I was startled by the nearby sound of a rattlesnake! When I looked down the snake was already in strike position just 8 feet from me! I reminded myself to always look down on the trail! 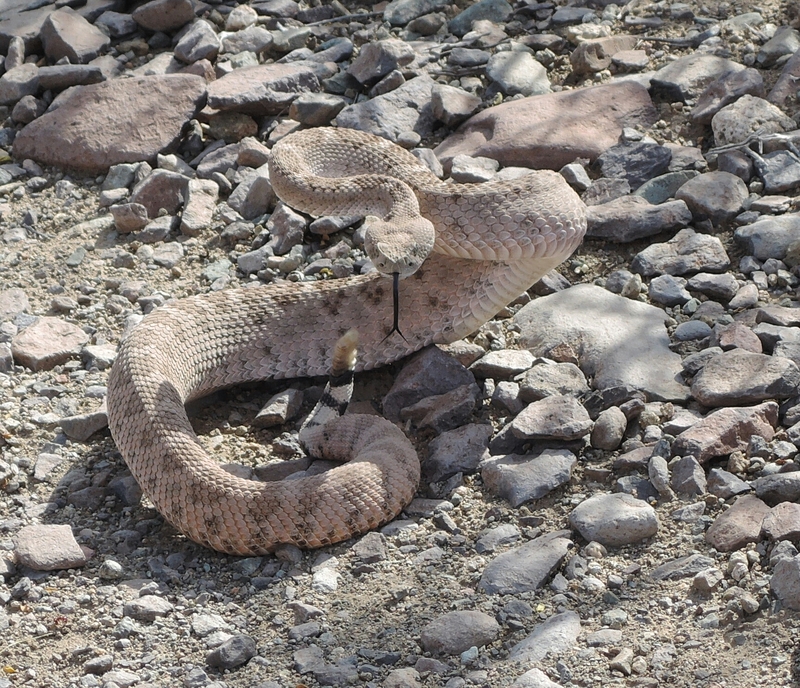 This one was the second rattler I encountered so far. Tonight I am sleeping in a cool motel room! 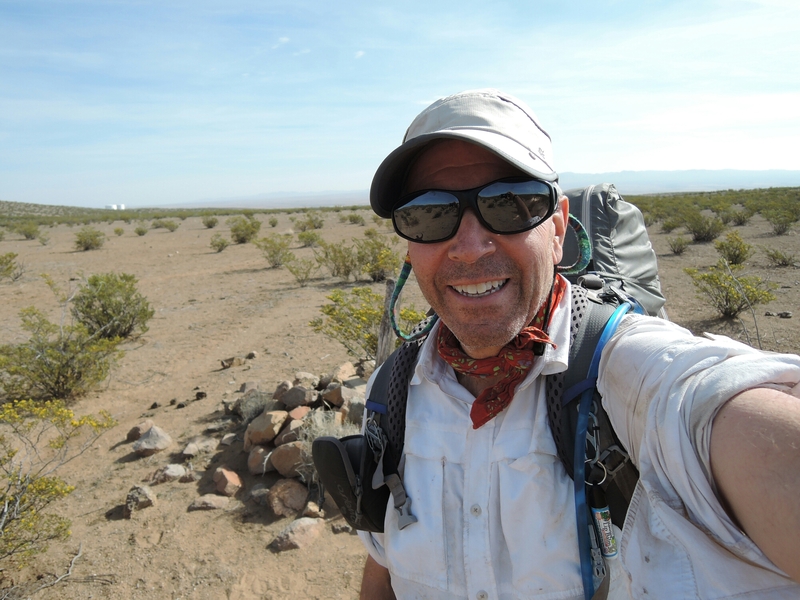 I am thrilled and excited to be hiking the CDT and look forward to the changing New Mexico landscape north of Lordsburg. 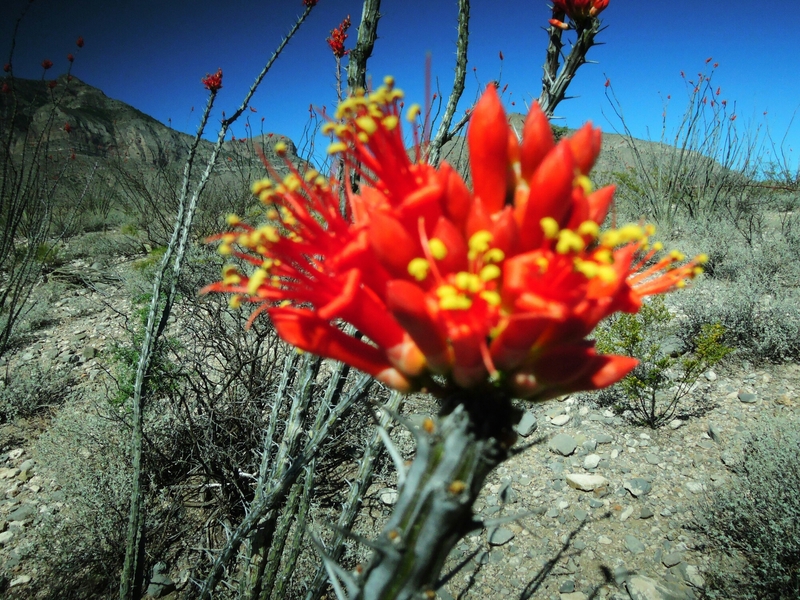 This entry was posted in CDT New Mexico, Continental Divide Trail 2016, Section 1: April 18-30. Bookmark the permalink. ← CDT Day 1, at last! Great pictures! How is the pack getting along? The Gossamer pack is wonderful. It has carried as much a 5 liters of water during a dry stretch of 20 miles. I sent a few items to my bounce box, and that lightened the load a bit. Looking good Roger, keeping you in our thoughts here. Will miss you tomorrow. Good luck and thanks for updating us on your progress.